Contitech Conveyor Belt System OverviewThe Conveyor Belt Systems unit manufactures conveyor belts and conveyor system service materials.It also develops intelligent conveyor belt systems and provides worldwide installation and engineeringservices. We are Europe's No. 1 supplier of conveyor belts, and we rank among the top 3 worldwide. 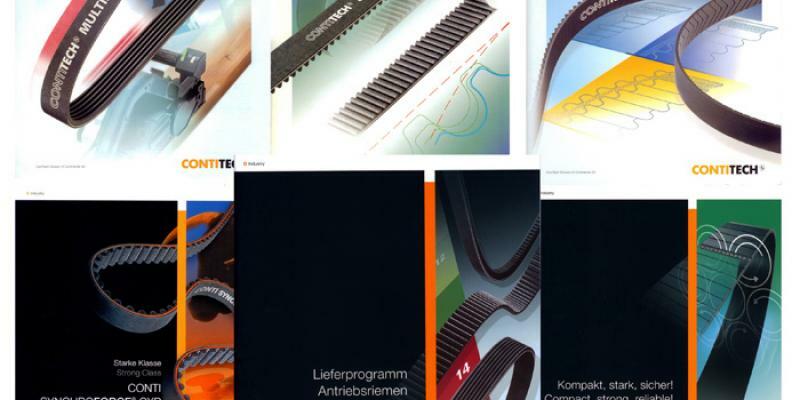 -Contitech invests considerable sums for consistent progress in the following sectors: Product development, Process development-This means Contitech leads in the technology of steel cable conveyor belts, which are manufactured according to a patented production technique; throughout the entire manufacturing process a uniform continuous tension of the cables is guaranteed.-The particularly temperature resistant bonding system between rubber and steel permits repeated splices, repairs or recovering of the belt.-Contitech is familiar with the problems of belt conveying both for surface and underground operations and advices in questions concerning the belt or the conveying plant.-Contitech designs and supplies workshops for the repair of conveyor belts.-Contitech plans the construction of plants, supplies machinery and equipment as well as the know-how for the economic manufacture of high-grade quality products.-Contitech trains your personnel to be skilled operators.